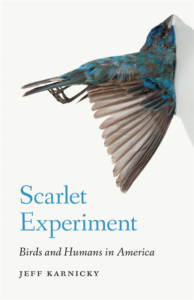 Emily Dickinson’s poem “Split the Lark” refers to the “scarlet experiment” by which scientists destroy a bird in order to learn more about it. Indeed, humans have killed hundreds of millions of birds—for science, fashion, curiosity, and myriad other reasons. In the United States alone, seven species of birds are now extinct and another ninety-three are endangered. Conversely, the U.S. conservation movement has made bird-watching more popular than ever, saving countless bird populations; and while the history of actual physical human interaction with birds is complicated, our long aesthetic and scientific interest in them is undeniable. Since the beginning of the modern conservation movement in the mid-nineteenth century, human understanding of and interaction with birds has changed profoundly. 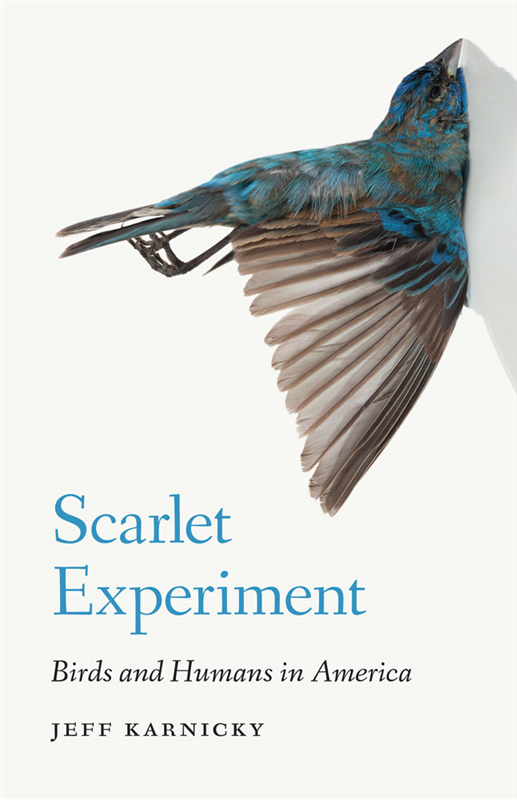 In Scarlet Experiment, Jeff Karnicky traces the ways in which birds have historically been seen as beautiful creatures worthy of protection and study and yet subject to experiments— scientific, literary, and governmental—that have irrevocably altered their relationship with humans.